Today I'm linking up with Doodle Bugs Teaching for Five for Friday. This week has actually flown by really fast. Summer needs to slow down. I have too much I want to accomplish before it flies by. 1. Monday I went to school to practice with my cheerleading squad. 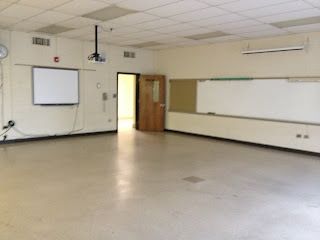 While I was there I went to my old classroom and saw that my room was completely bare. Next year I will most likely be in the room in the picture above. Looking at it right now makes me think of how much work I will have in the fall to make it look the way I want it. This room is actually a little bit bigger than my old room, however there is a bi-fold door that separates it with another classroom which isn't the best for hearing other noises. 2. 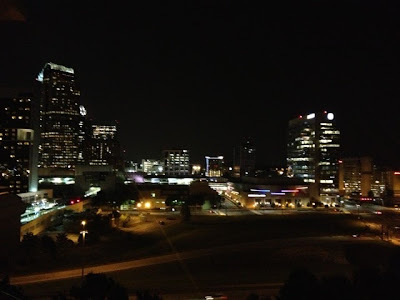 I went to Charlotte this week and had an amazing dinner at Alexander Michael's. I'm from a very small town so to go into a big city can be both fun and overwhelming at the same time. 3. Yesterday I went with a friend to the park. It was so hot outside but we had a great time playing putt putt and walking around. 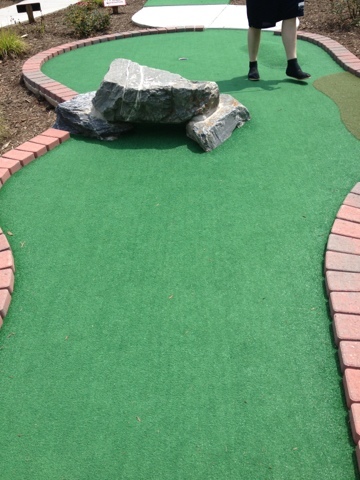 I won playing putt putt, that rarely happens so I was pretty excited! 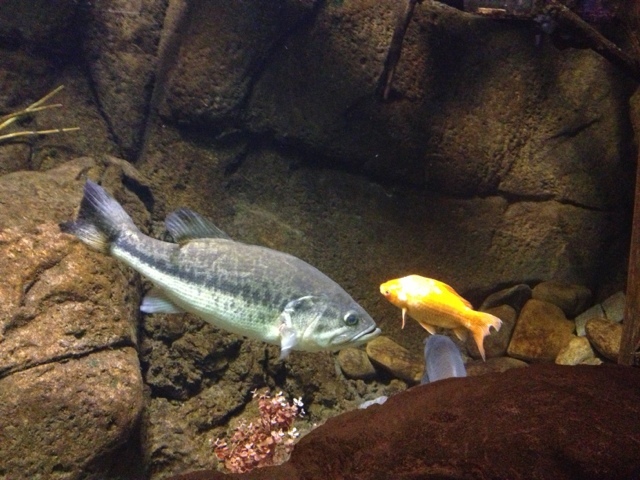 They also have an animal exhibit with snakes, fish and other animals. 4. I've spent a lot of time outside this week. My niece and nephew are at my house everyday so I play outside with my nephew a lot. 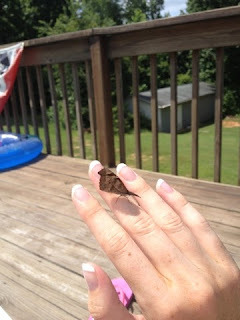 We sat outside by the pool and were able to have some butterflies come to us. 5. I'm saving the best for last! 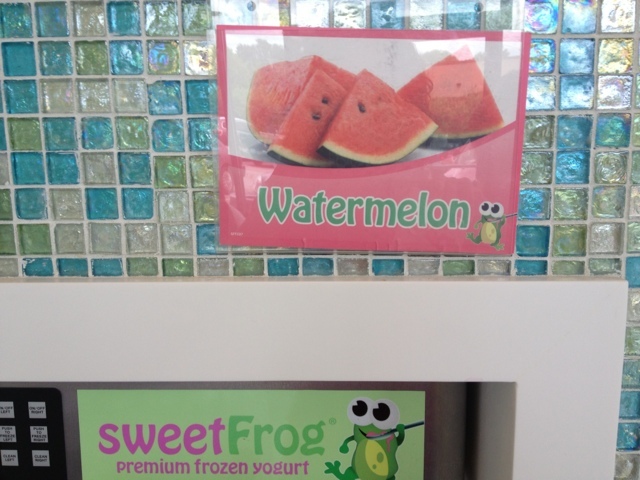 Yes, watermelon flavored frozen yogurt made my week. It isn't often that I find watermelon so when I do I am one happy camper. What made the day even better was that I won a free 12oz cup of yogurt by texting their Sweet Frog number. Well that is all for this week! Make sure to follow me on my new facebook page & on bloglovin before Google Reader shuts down on Monday! I love it, but it scares me to death!